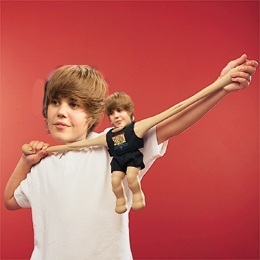 Paulstretch for OS X — the Justin Bieber Edition – Do My Eyes Look Scary? Well, someone may — or may not — have posted a slowed down version of Justin Bieber’s “Love U” and as a result my janky little blog is experiencing a 25-fold bump in traffic. I’m hoping the fine folks at Midphase don’t mind — I have an ‘unlimited bandwidth’ account, but I think it’s only unlimited until you start saturating their net connection. Anyhow, if you’re here looking for Paulstretch, get it from this post — the new build can actually load MP3 files due to a new version of one of the libraries it needs. If you’re still on a Power Mac, go here. The build scripts are Here, but don’t even bother unless you are an actual programmer, because I can’t troubleshoot your problems for you. What I wrote worked perfectly from a standing start back when I wrote it, but library versions change, source code archive links get moved, and you may not have all the build tools on your machine. Stupid question, can you edit the tags on this entry to match the other paul-stretch entries on here? Thanks so much for making this software. The music that has been created has been truly inspiring. I think because of you, a new genre of music has been created.